"Boy, one can sense how carpet-biting mad Gerdes is at my having accepted the challenge... You will hear from me again on this subject when you find an issue of SKEPTIC or ARCHEOLOGY magazine with an article about my research findings in your mailbox." "I’m doing my research independently of how big a chance there is that meeting the challenge requirements will get me any money. If I don’t get paid for submitting proof that objectively meets the challenge requirements, that’s fine. If I do get paid, that’s even better... but the next time you repeat that "looking for an angle out" - BS you’ll be telling another lie, a**hole. I have already made clear that the reward money would be nice to have but is not the main motivation for my research." If he really wants to put an end to holocaust denial, then what is he waiting for? Tell me about it. He's just getting hammered over on VNN. When he doesn't have nickterry and/or his buddies covering for him, he's like a lost little puppy. I think he only accepted the challenge because his back was against the wall and he was simply embarrassing himself so bad, that he did it to try and save face. But now, he's realized that he will never be able to prove that there is even one "huge mass grave" that contains even one percent of the alleged mass murder at any of the alleged "pure extermination centers," and he's trying to weasel his way out of his public acceptance. That's why he's afraid to mention the fact on RODOH (sic) and/or holocaust controversies (sick). He's throwing a temper tantrum like an angry little child right now because he can't change the challenge conditions to his liking. It's sad in a way, but it sure is good humor watching his childish antics and the lengths that he will go to convince himself that he's not making a fool out of himself in front of the entire world. Like Hannover said – It’s so easy. Really funny. That's like the blind leading the blind. Nothing they can say will help his cause. They are attempting to defend the impossible and are trapped like rats on a sinking ship. "What made me decide to accept your challenge was a big mistake you made in one of your posts, one that considerably improved my chances of having access to the very evidence that is required to meet the challenge requirements... If you don’t want to accept my suggestions... that’s just fine with me. It won’t dissuade me from trying to obtain, publish and present to NAFCASH the required proof, for as you well know the money issue is secondary to me... So what I’m showing the world is that I’m willing to play by the standards of the NAFCASH challenge." "Boy, one can sense how carpet-biting mad Gerdes is at my having accepted the challenge... You will hear from me again on this subject when you find an issue of SKEPTIC or ARCHEOLOGY magazine with an article about my research findings in your mailbox... I’m doing my research independently of how big a chance there is that meeting the challenge requirements will get me any money. If I don’t get paid for submitting proof that objectively meets the challenge requirements, that’s fine. If I do get paid, that’s even better... but the next time you repeat that "looking for an angle out" - BS you’ll be telling another lie, a**hole. I have already made clear that the reward money would be nice to have but is not the main motivation for my research... What made me decide to accept your challenge was a big mistake you made in one of your posts, one that considerably improved my chances of having access to the very evidence that is required to meet the challenge requirements... If you don’t want to accept my suggestions... that’s just fine with me. It won’t dissuade me from trying to obtain, publish and present to NAFCASH the required proof, for as you well know the money issue is secondary to me... As you well know, I’m not trying to change anything to my "liking"... what I’m showing the world is that I’m willing to play by the standards of the NAFCASH challenge." "Boy, one can sense how carpet-biting mad Gerdes is at my having accepted the challenge... You will hear from me again on this subject when you find an issue of SKEPTIC or ARCHEOLOGY magazine with an article about my research findings in your mailbox... I’m doing my research independently of how big a chance there is that meeting the challenge requirements will get me any money. If I don’t get paid for submitting proof that objectively meets the challenge requirements, that’s fine. If I do get paid, that’s even better... but the next time you repeat that "looking for an angle out" - BS you’ll be telling another lie, a**hole. I have already made clear that the reward money would be nice to have but is not the main motivation for my research... What made me decide to accept your challenge was a big mistake you made in one of your posts, one that considerably improved my chances of having access to the very evidence that is required to meet the challenge requirements... If you don’t want to accept my suggestions... that’s just fine with me. It won’t dissuade me from trying to obtain, publish and present to NAFCASH the required proof, for as you well know the money issue is secondary to me... As you well know, I’m not trying to change anything to my "liking"... what I’m showing the world is that I’m willing to play by the standards of the NAFCASH challenge... And just to make it clear once more, I intend to publish proof meeting the requirements in ARCHAEOLOGY or SKEPTIC magazine and submit such proof to NAFCASH as soon as I have it in my hands, independently of what my chances are of ever actually seeing any reward money. If I meet the challenge requirements but cannot obtain payment... that’s fine. If I can obtain payment, that’s even better." What is HC waiting for? Last edited by Greg Gerdes on Mon Jul 21, 2008 3:48 pm, edited 1 time in total. Just one "huge mass grave" that contains just one percent of the alleged mass murder at Treblinka. Just one body in a "wax-fat transformation" at Belzec. Just one pound of crushed bone at Chelmno. 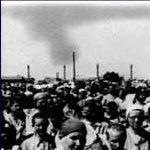 Just one ounce of human ash at Sobibor. Just one gassed jew from the entire "holocaust." Isn't 65 years long enough to wait for such proof? Oh well I guess you can kiss your money goodbye, this will be too easy! All Muehlenkamp has to do is obtain Shermer's alleged "Treblinka Investigation" MWUUUUUUUAHAHAHAHAH !! "It’s for who makes a claim to provide the proof supporting that claim, a**hole." Well, the links I provided above show without a doubt that Muehlenkamp cannot defend the impossible tales of the 'holocaust' religion. He/they make the claims, and when these claims are inspected their only recourse is to attempt dirty tricks. Such are the judeo-supremacists. "All Muehlenkamp has to do is obtain Shermer's alleged "Treblinka Investigation" MWUUUUUUUAHAHAHAHAH !!" And now that THE FINAL SOLUTION FORENSIC CHALLENGE has been narrowed down to just Treblinka and Sobibor, and the applicant to the challenge reward must now use "SKPETIC" magazine only, Shermer should be able to assist Muehlenkamp on this matter immensely. Yes, the Shermer / "SKEPTIC" magazine and Muehlenkamp / HC collaboration is a match made in heaven. Oh yeah, shysters Shermer and Muehlenkamp do Treblinka. Hilarious. Search Treblinka at this site for more. Also includes the alleged Sobibor holocaust. JUST ONE CAMP! - JUST ONE MASS GRAVE! - JUST ONE PERCENT! Let’s take a closer look at this alleged archeological finding at Sobibor. We have 7 alleged “huge mass graves” - 6 measuring 20 x 25 x 5 meters and one 70 x 25 x 5 meters. So each of the smaller graves has a volume of 2,500 sq. meters, with a combined total volume of 15,000 sq. meters and the largest of these alleged "huge mass graves" has a volume of 8,750 sq. meters - for a grand total of all 7 graves being - 23,750 sq. meters. This would mean then that the largest alleged “huge mass grave” would comprise 36.84% of the total alleged volume of all graves combined. Isn’t it interesting that after years of claiming that the Germans “obliterated all evidence” of their crimes at the alleged pure extermination centers, the jews are now claiming that the evidence has been there all along? But notice that they’ve yet to claim that they’ve located any mass graves at Treblinka! Now why do you think that is? Do you think it’s because they resorted to every dirty trick in the book, including MURDER, to enforce the dogma that the Germans made 870,000 jews magically disappear there? Notice also that they refuse to scientifically verify and legitimize any of these claims about Sobibor with NONINVASIVE REMOTE SCANNING TECHNOLOGY, such as - aerial infrared photography, thermographic infrared multispectral scanning, imaging radar, soil resistivity mapping, ground penetrating radar, magnetometer mapping, geophysical diffraction tomography and/or geographic information system mapping. Why do you think they refuse to use this readily available technology? Is it for the same reason that Shermer refuses to publish the results of his alleged “firsthand investigation” of Sobibor? NOTE: If you lack the courage to accept the above facts and you want to continue to deny the truth about the “holocaust,” the “final solution” and the “pure extermination centers,” then the ball is in your court. The supporters of THE FINAL SOLUTION FORENSIC CHALLENGE TM have put their money where their mouths are and it’s time for the criminally fraudulent holocaust industry, their mealy-mouthed “skeptical” minions, their bought whores in the media and their servile Judas-Goats in our government indoctrination centers to put up or shut up. And to further illustrate just what utter frauds Michael Shermer, Andrzej Kola and the members of the Sobibor Archaeology Project are, NAFCASH TM is also offering a BONUS SOBIBOR REWARD! If the winner of THE FINAL SOLUTION FORENSIC CHALLENGE TM can also prove that Sobibors fraudulent “ASH MOUNTAIN” is actually comprised of human ash, NAFCASH TM will donate $5,000.00 in the winners name to – THE SOBIBOR ARCHAEOLOGY PROJECT. ALSO NOTE: If “SKEPTIC” magazine rejects your submittal, NAFCASH TM MAY grant you a second opportunity at becoming a reward applicant via Archaeology Magazine. RECAP: Do you understand now how these cognitive illusions work? Do you see how the holocaust industry uses FRAUDULENT “EYEWITNESS” TESTIMONY and deluding emotionally charged displays to short-circuit your ability to reason? The fraudulent claims that the alleged “huge mass graves” have been scientifically proven are as laughably transparent as the original big-lie that over two million jews were murdered in the “pure extermination centers” and the subsequent magically disappearing jew excuse used in lieu of corpus delicti in the show trials. The maliciously fabricated cognitive illusion of the officially sanctioned (and jewish sanctified) “pure extermination center” myth is so vacuous, that one has to question the intelligence, courage, character and sanity of those who, after being exposed to the truth, continue to believe, espouse and teach the orthodox version of “the holocaust.” It’s analogous to someone still believing the big-lie / cognitive illusion that Iraq really did have “Weapons of Mass Destruction.” The illusionary “pure extermination centers” were simply the WMDs of WWII. Now, if you lack courage to accept and/or the integrity to acknowledge the fact that there were no holocausts within the holocaust at the alleged “pure extermination centers,” then ask yourself this one simple question: Why does THE FINAL SOLUTION FORENSIC CHALLENGE TM reward remain unclaimed? Remember, the sham “skeptic” Michael Shermer claims that he’s scientifically proven that these alleged holocausts happened and the equally spurious COUNTERFEIT ARCHEOLOGIST Andrzej Kola claims that he’s forensically proven the existence of ‘huge mass graves” at Sobibor. If however, you lack the intelligence to understand that these claims are as fraudulently transparent as those who made them, if you childishly insist on believing the jews big-lies about the “huge mass graves” allegedly located and you sincerely want to put an end to holocaust denial, then here are your literal treasure maps of - SOBIBOR & TREBLINKA. I really hated to drop Belzec and Chelmno, but I felt the time was right to focus and force the issue about Sobibor. Of course, this means that someone else can pick up the Belzec and Chelmno balls that I dropped and do something with them. Especially Chelmno, which is not only a gift, but if the fraudulent "archeological investigation" there isn't used to our advantage, then the next generation of truthers are going to hold us in contempt. In fact, I believe the BS "archeological investigations" of Chelmno are the easiest of all to prove as fraudulent and can most easily be used to our advantage.